Many people with GoPro cameras seem to throw them around with abandon, but mine is my baby and if I screw it up, the Mrs. will probably not sign off on another one without some serious negotiations. Since the lens, to me at least, is the most important but vulnerable part of the camera, I do my best to keep it clean and scratch free with an eyeglass cloth. 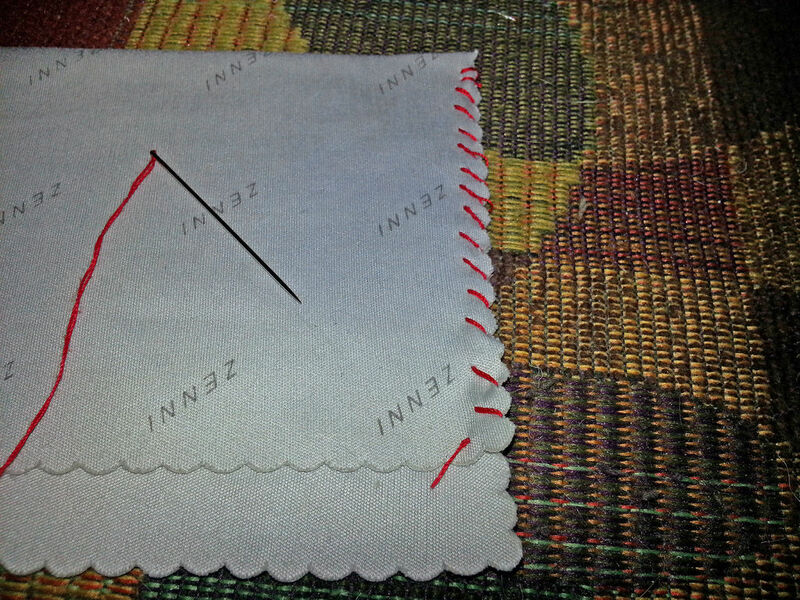 Since there aren't a lot of those type cloths big enough to wrap it up in and have it stay put, I decided to sew one into a pocket that would resist falling off a little better when it's in a bag or the wife's purse. 2] Fold the cloth in half (I went slightly asymmetrical to be sure there was enough up front to fully cover the lens) and push the needle through the edge and pull through until the knot hits the fabric. 3] Now just work your way up, bringing the needle around to the front side again, up a little from the last stitch, push through and pull tight - repeat. 4] When you get to the top, before you pull the thread tight, loop the needle through the loop of thread, then pull tight to knot it. I do it several times. 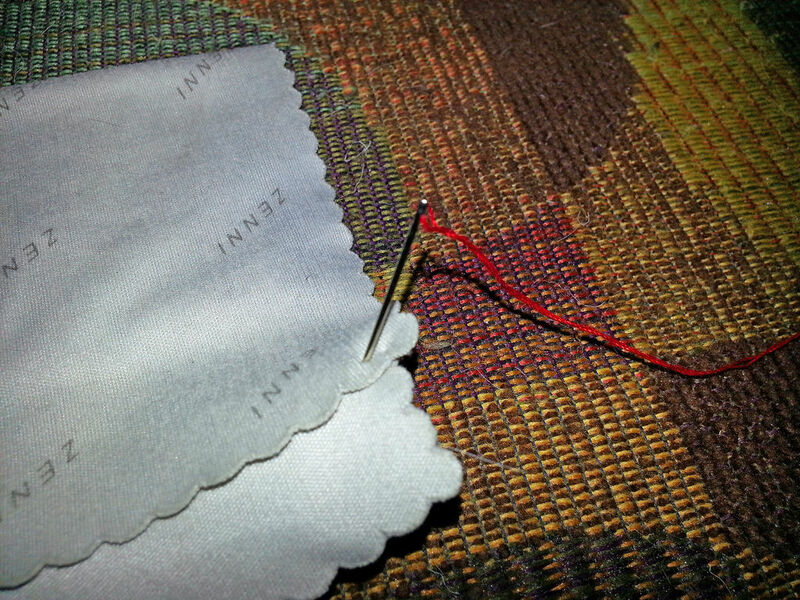 Trim the thread and the seam is done. Repeat on the other side. 5] Turn the finished pouch inside out and you are done! Now I have a lens protector for travel, and a cleaning cloth always at hand.